Throughout December, you raised an amazing £128,754 in funds that will go directly towards supporting the fire and rescue community with their lifelong mental, physical and social needs. Not only that, but you smashed last year’s amount by over £16,000, which is incredible! Thank you so much to each and every one of you, your efforts are very much appreciated. You better watch out … our firefighters from Nairn are getting into the Christmas Spirit. 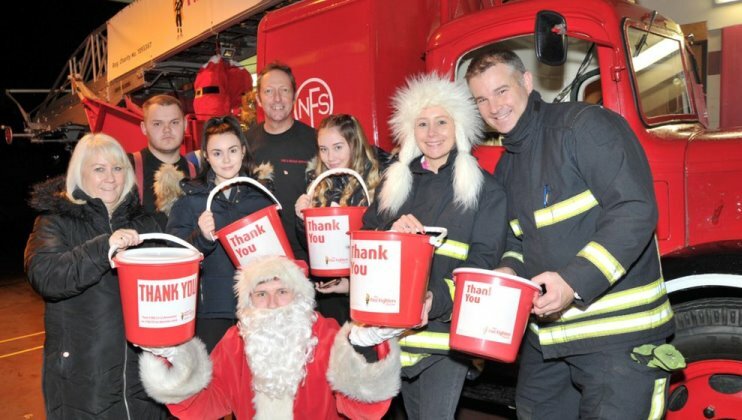 Well done to @nigecusack @Pastie1976 @CityInclusion and all at Preston Circus fire station for the Christmas collection in aid of the Firefighters Charity @firefighters999 and to @ESFRSCommVols for their support! Wotton Under Edge Fire Station: £3,578. helping out for @firefighters999,thanks to Lou Edwards for yet again organising the 3 days.